Also called Stockade ‘n Stuff, this popular antiques store in Pickens was once a jail for the scofflaws of Pickens County. The granite structure was built in 1936 by the Works Progress Administration and served as a men’s prison for 32 years. The men held here built many roads and buildings as part of their sentencing. A new prison was built in 1968, and a local family subsequently purchased the former stockade, which then sat vacant for four decades. 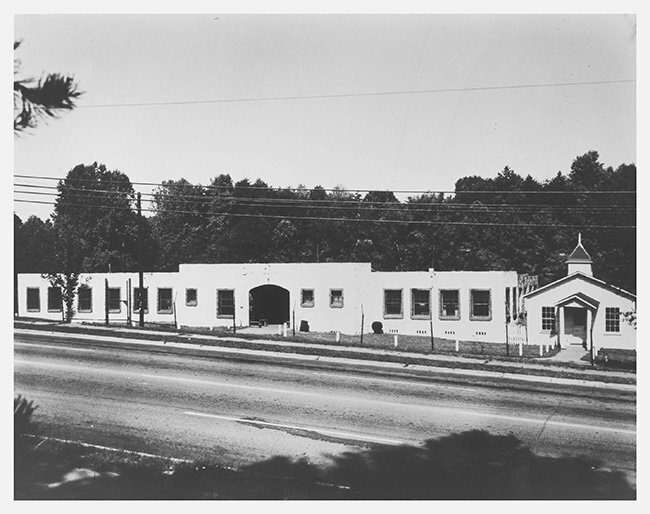 The building’s owners ran a car dealership for 55 years, selling their business in 2007. They then stored their car-related collectibles along with other personal items in the former jail. 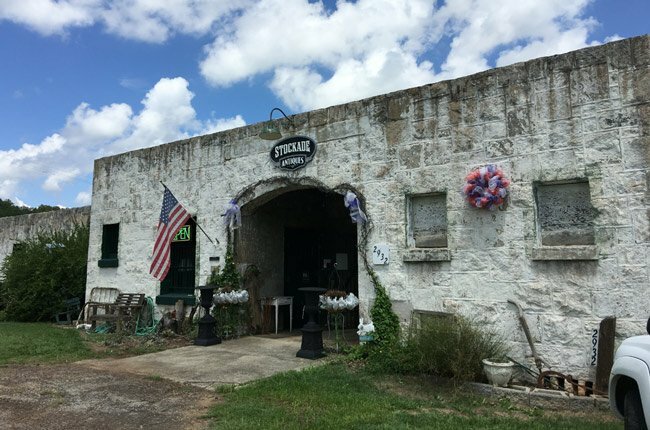 As the former car dealers’ collection grew, they decided the time was right to start a new business, and Stockade Antiques was born. It has attracted curious collectors ever since. Hello Rick, we are not officially affiliated with Stockade Antiques so you would have to reach out to them directly. We googled their phone number for you and it looks like it is (864) 979-4891, hope this helps. Good luck! I purchased two 4ft tall cast iron topped vases with base. I would either like to sell or consign for your shop to sell for me. Can you please help me to release these fine vases.